Senate leaders said Tuesday that they’re committed to increasing mental health workers’ wages this year. 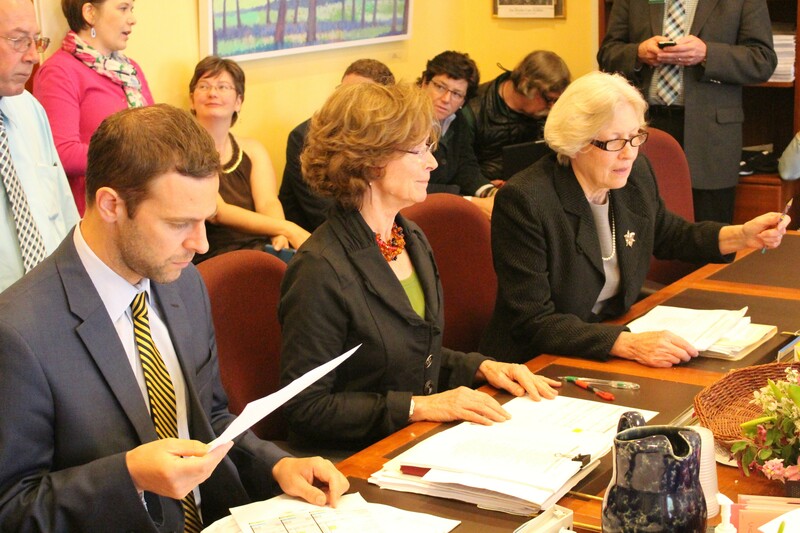 “We will vote to increase compensation for these positions this year,” Sen. President Pro Tempore Tim Ashe (D/P-Chittenden) told reporters at a briefing in his Statehouse office. It’s a surprising pledge, coming when the legislature is struggling to fill a budget gap while meeting the governor’s request that it not raise taxes or fees. Sen. Claire Ayer (D-Addison), who chairs the Senate Health and Welfare Committee, told the assembled reporters that uncompetitive pay is the “single biggest issue” contributing to a strained mental health system, which has left patients languishing in emergency rooms. She noted that there are currently about 400 vacancies across the designated agencies that provide community-based care for people who are mentally ill.
Last week, Ayer’s committee passed a bill that, among other things, would allocate $30 million to increase designated agency employees’ pay to at least $15 an hour, and to pay professional staff at least 85 percent of the market rate. To fund that, she’s proposing to redirect some of the $37.5 million that the state and federal government use to compensate Vermont hospitals for caring for the uninsured. The logic: The Affordable Care Act has reduced the number of uninsured people in Vermont. Gov. Phil Scott has proposed cutting those payments by 10 percent for the same reason. “This is not a good time,” said Devon Green, vice president of government relations for the Vermont Association of Hospitals and Health Systems. The impending repeal of the ACA could drive the number of uninsured people back up, she noted. The Senate Appropriations Committee is taking up the mental health bill this week. Sen. Jane Kitchel (D-Caledonia), who heads that committee, sat on a couch next to Ayer. The three senators told reporters that the $30 million figure may change depending on a fiscal analysis, and they may decide to phase in wage increases, depending on how much funding they can find. They also suggested that addressing the staffing shortage will save money by reducing the number of people in emergency rooms and other high-cost settings.